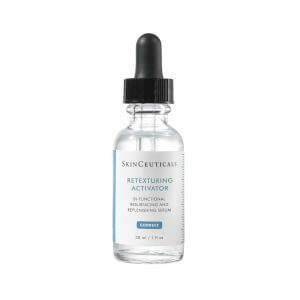 SkinCeuticals CE Ferulic is a powerful treatment backed by essential vitamins and antioxidants designed to eliminate hyperpigmentation and prevent future damage from the sun and elements. Ideal for those with photo-damaged, hyperpigmented, dry and sensitive skin. Use once in the morning after cleansing. Apply 4-5 drops to dry face, neck and chest. Massage until product is fully absorbed. Follow with moisturizer and sunscreen. 15% L-ascorbic acid neutralizes free radicals and promotes collagen synthesis. 1% alpha tocopherol (vitamin E) neutralizes free radicals, provides the healing process. 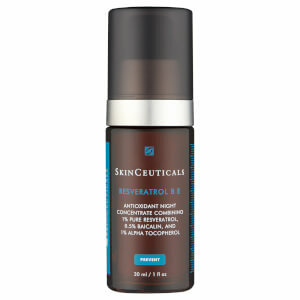 0.5% ferulic acid is a plant-based antioxidant which neutralizes free radicals, inhibits UV-induced melanogenesis and has anti-inflammatory properties. I really like that it came early and it was hassle free. They even send me samples. 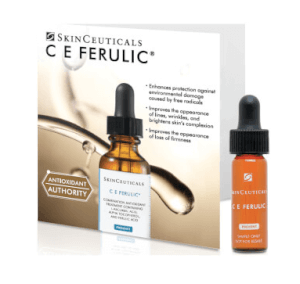 I use Skin Ceuticals CE Ferulic daily. I love how it feels and I can tell the difference in the texture of my face. I had been using the product over the past 10 years...and as I aged I realized how important this product is...I combine it with creams, Vitamin B and/Photo... I get compliments almost daily on my skin and I still layout in the sun unprotected (I know I am not suppose to say that!) Lovely product and thank you for making it! Not a miracle in a bottle. It more like slow and steady improvement. I am happy with my purchase. This is a great buy. I have been using it for about a month. My skin seems more balanced. I don’t see a dramatic change but that’s expected. My skin has issues - start of wrinkles, sun damage, major large pores and this product has helped lessen their appearance. This is the most expensive skincare product I have ever purchased but I think it will last a while so it’s worth it. I will continue to buy as long as I can. I feel so much better knowing my skin is protected from the bad things in our environment. I have been using this for years and, over time my skin has brightened. I am writing this review, because I thought this might help people who are undecided. I read a lot of reviews that are based on few weeks, and I don't find them very helpful. I have been using this serum for at least three years, and I have a very problematic skin: very oily, large pores, blackheads, and occasional acne. I am well in my 40s, and I still have these issues coupled with aging. Truthfully, I want to think this helps my skin, but the change is not dramatic. I still have all of the problems. I cannot compare to what my skin would've been like without it. I can only see how my siblings age, which suggests this might be slowing down aging a little bit. I also use the B5 gel, Skinceutical sunscreen, a face wash with salicylic acid, and Drunk Elephant exfoliator. That's it. And I have to face it: my skin will never be great. Make-up usually looks hideous on me, because of the pores and the oily shine. I have tried many things, and they all make me look even older. This is my one product I can’t be without. I can honestly say it changed my skin, which was not great to begin with. Now it glows. My sun spots faded, and it prevents more. As an avid sunbather in my teens, which was before sun safety and we used baby oil for that deep tan... it says a lot.